Petri Kero presents how Ministry of Games is tackling the scalability problem with distributed Elixir. 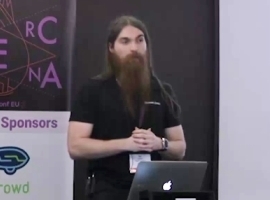 Claudio Ortolina discusses leveraging Elixir/OTP tools to provide continuous service even when a database is down, walking through the refactoring of an Elixir/Phoenix/PostgreSQL application. Tatsuya Ono introduces TaskBunny, a background processing library, discussing implementation details and why they chose RabbitMQ over Erlang process/OTP. Thomas Arts discusses how to test web services with QuickCheck. 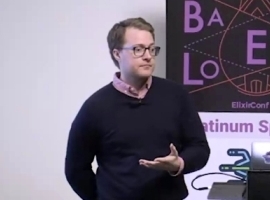 Devon Estes discusses some common, but less than optimal, solutions to some of the problems on exercism.io followed by refactoring, showing the performance improvements and tradeoffs made. 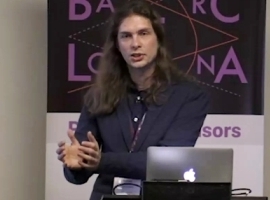 Tomasz Kowal discusses using Elixir for a financial application, handling rounding errors, designing APIs that gracefully handle network and hardware failures, and crashing the app during design. 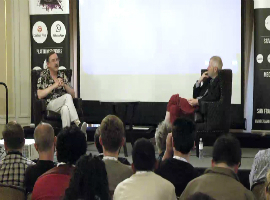 Larry Wall is interviewed by Joe Armstrong to find out what goes on inside the head of a programming language designer. Is there a method to use when designing a new language? Nathan Herald discusses the possibility to create a distributed system with one process representing every user / shared resource in Elixir. 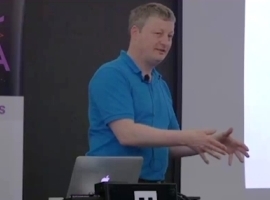 Christopher Meiklejohn introduces Loqaut, a design for large-scale actor programming on the Erlang virtual machine. Lauren Tan discusses how one can create web applications with Elixir and Phoenix.